This is a delicious simple make-ahead weeknight meal. 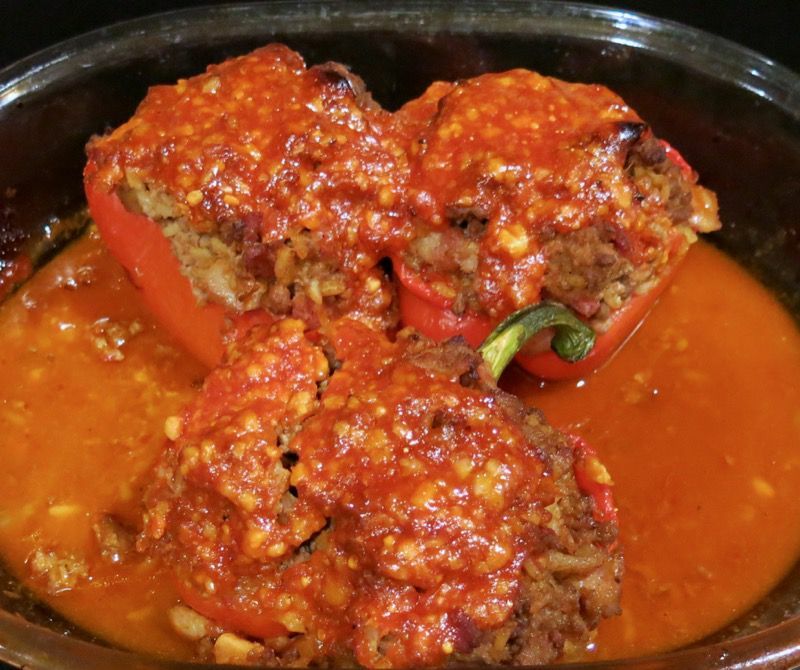 Everyone seems to love stuffed red peppers. 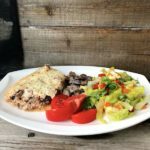 Serve with a side salad and you have a happy family. 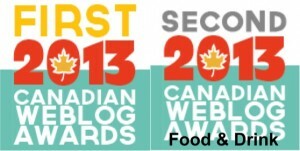 … and a Canadian pleasure. 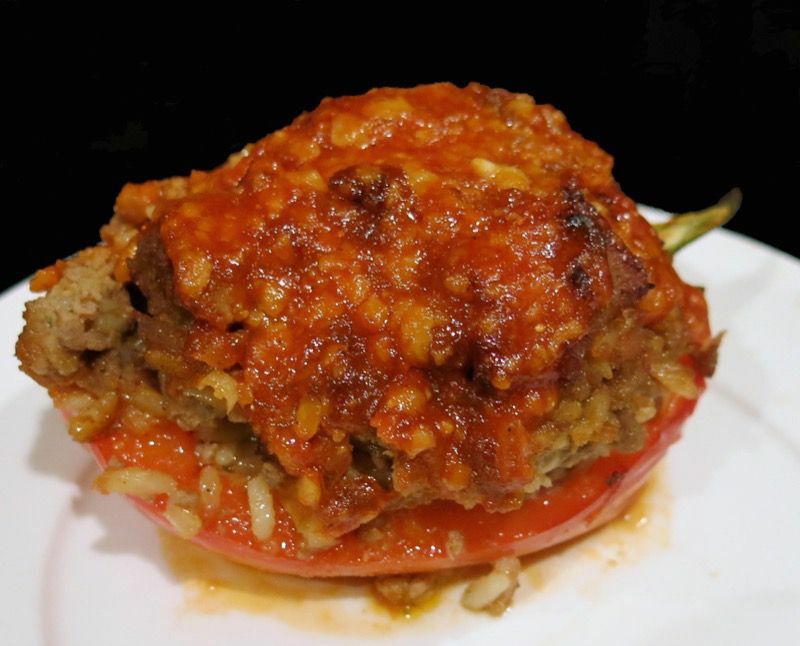 Ah, stuffed peppers. Simple. Nutritious, delicious, economical. Now, we are singing my song. 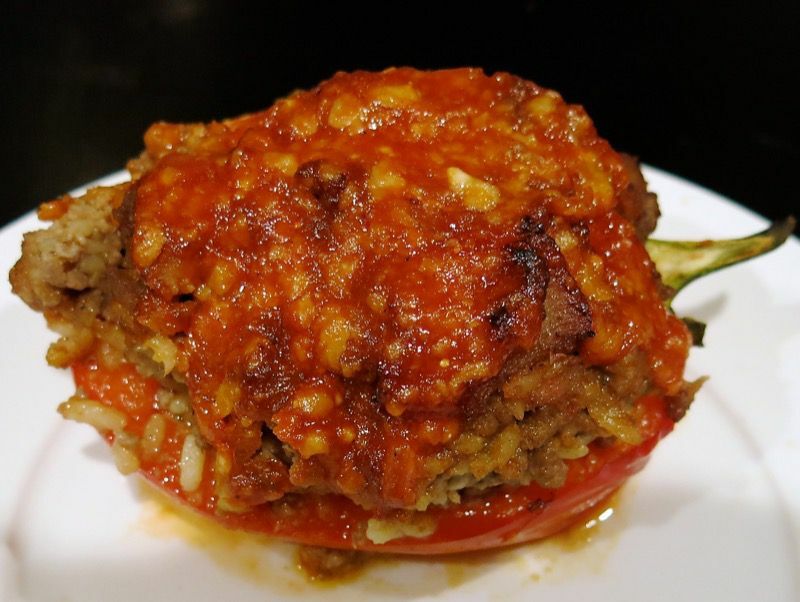 There is something primordial and deeply gratifying about the Eastern European combination of rice infused with a simple combination of a rich tomato sauce and well-seasoned ground meat wrapped or stuffed in a vegetable. Pure pleasure. Nothing fancy about this dish. Anything stuffed in a vegetable denotes a nod to the sensibility of the kitchen with reference to the frugality of the past. 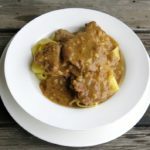 The complexity of flavour determined by the pantry coupled with an experienced palate can prompt an unexpected guttural response after the first bite. That was my hope as I worked to create a complex depth of flavour with simple, everyday ingredients. Like the classic Italian Bolognese, I succeeded! 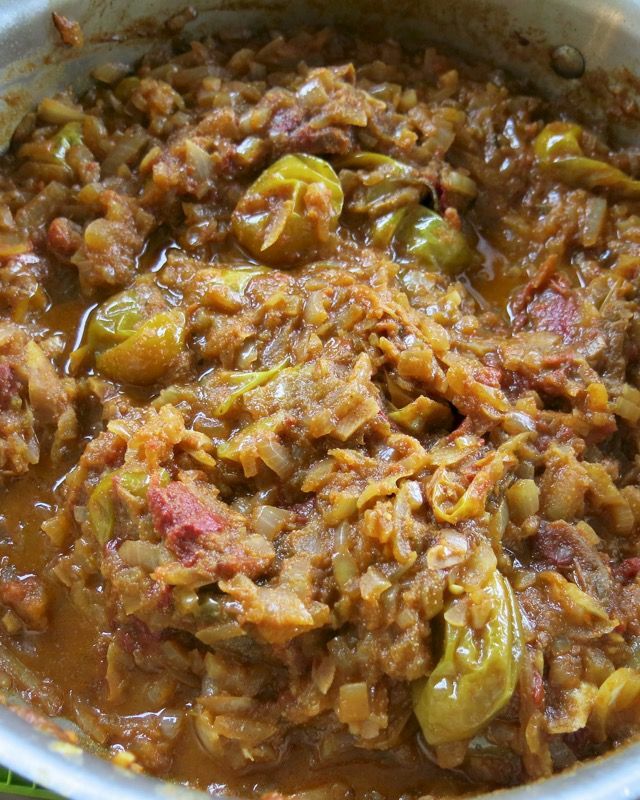 This is one very simple and very special recipe for a very serious home food meal. My recipe makes 20 this size. I froze the other 15. That is what I do on my cooking days: I cook a lovely meal and freeze a lovely meal or two. This month, I am filling the freezer as I am heading out on a cruise with mom at the end of the month for 10 days, and then William Duggan is arriving! In the old country, the top of the pepper is removed and the entire vessel is filled. I prefer this presentation. 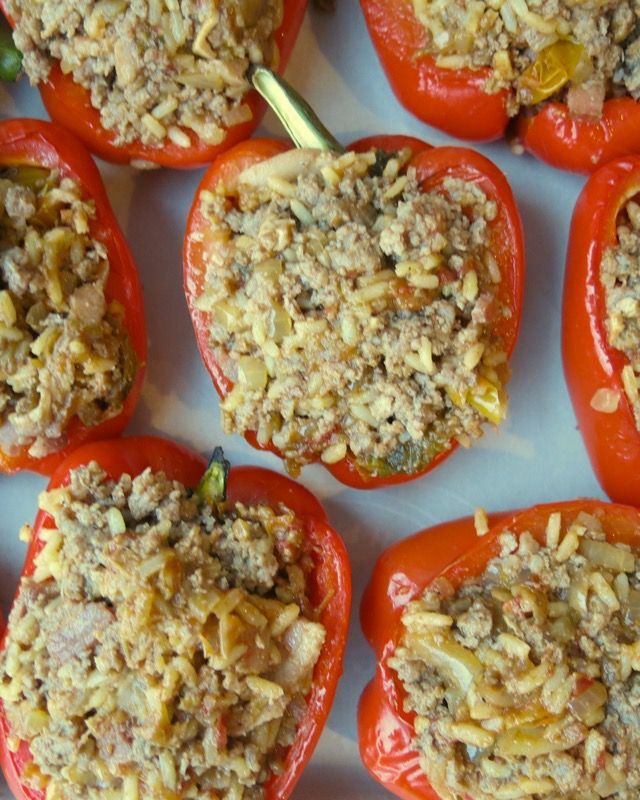 Even if you choose small peppers, one serving is enough for some. Two, this size, please, for Vanja. Presentation-wise, the colour on the stem is pleasing, so it stays. And who is William Duggan? My soon-to-be-born grandson! He is due February 28th and I will be leaving February 25 for a month of pure bliss! (My son-in-law may not be looking as forward to my visit as I am, but I promised to be on my best behaviour!) Anyway, I booked an extended stay hotel so everyone can have the privacy needed during such a miraculous time in our lives. Every recipe I make and stow away has excitement tingling through it as I dream of the gurgles and giggles to come. Vanja is a tough food critic. When I told him I was making stuffed peppers, he asked: “What are you putting in them?” The nerve. You would think he would have enough faith in my culinary prowess by now, no? Well, no. That was the catalyst for the thinking that motivated me to build flavour into this dish. 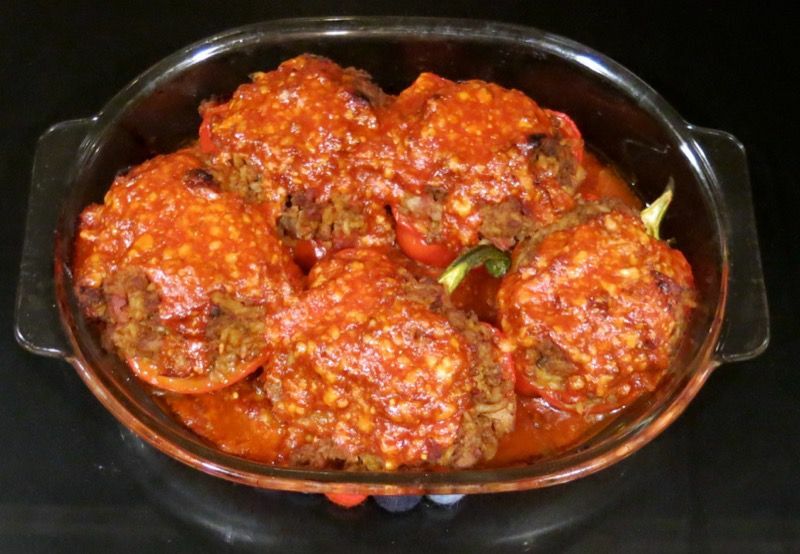 Otherwise, I would have just “made the stuffed peppers”. I took the time to work on recipe development and analyze what would please my man. 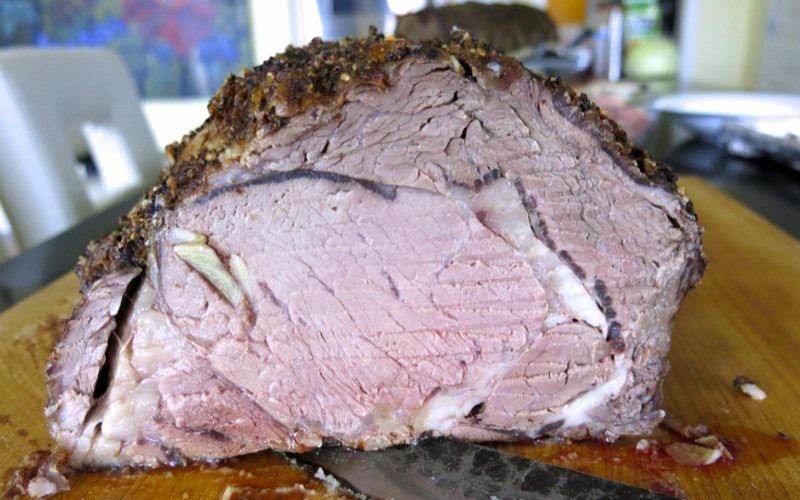 Meat – and lots of it. So, I started with the aromatics. Onions. 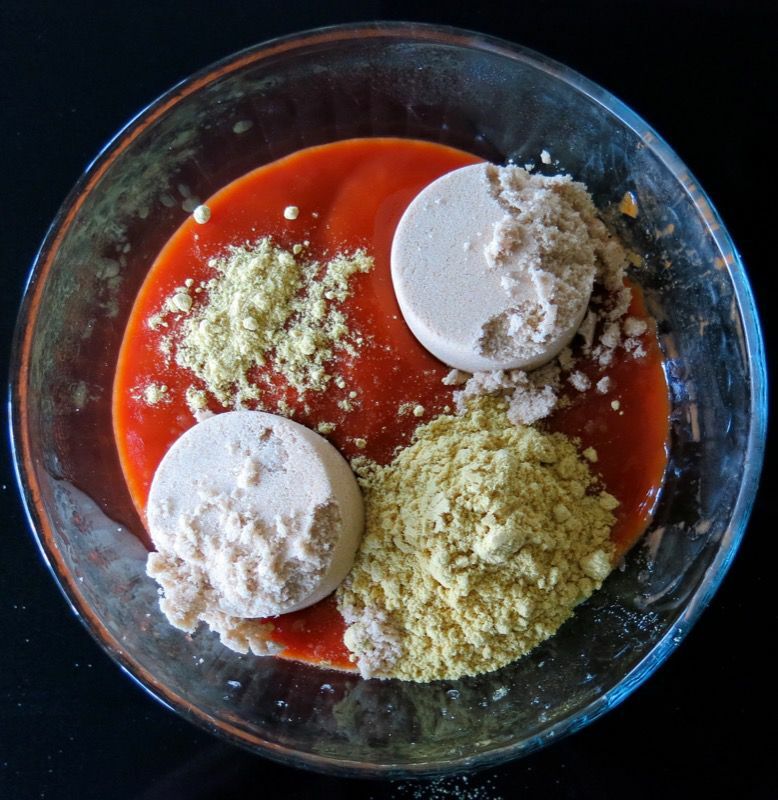 Paprika. Not just any paprika. The one I buy every summer when visiting Serbia, from the local Spice Shop in Vanja’s brother’s neighbourhood in Belgrade. The 500g of gorgeous fragrant ground dried Paprika I order from the Spice Man each time is so fresh that the paper bag he portions it into is dark and soaked with pepper oils by the time we return to the apartment. The aroma is intoxicating. Garlic, of course, and my own oven roasted garden tomatoes. Two bags. These tomatoes are a stand-alone spectacular treat. 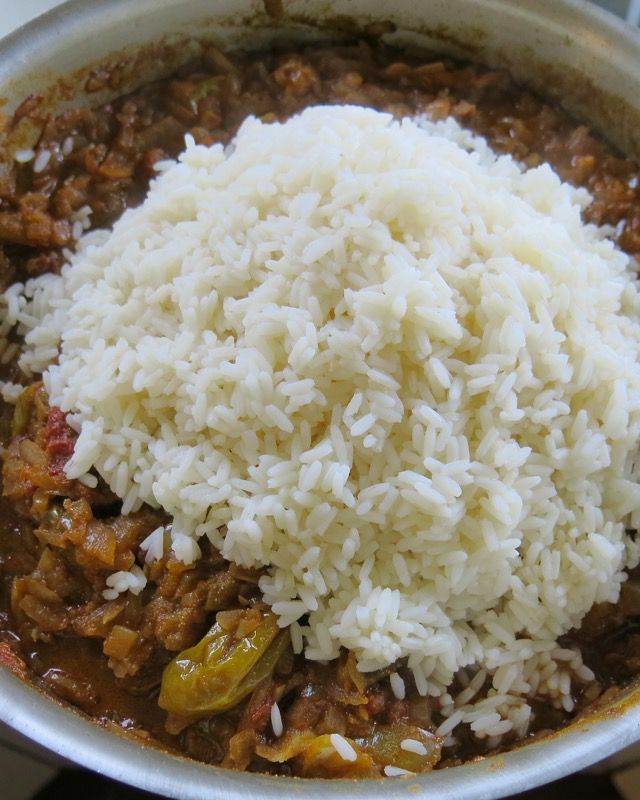 And, of course, the rice. 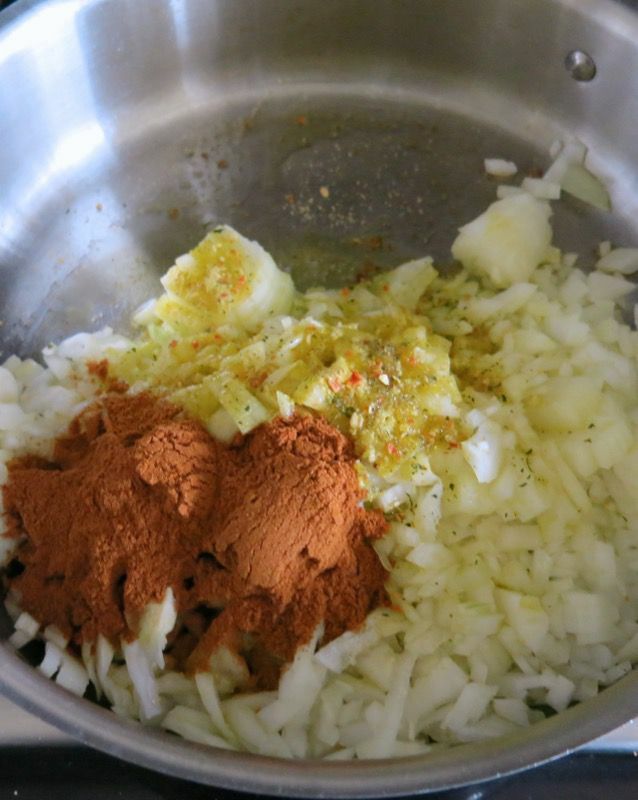 The onions are sautéed in a bit of olive oil, paprika, salt, freshly ground black pepper and garlic added. The frozen tomatoes are melted in. 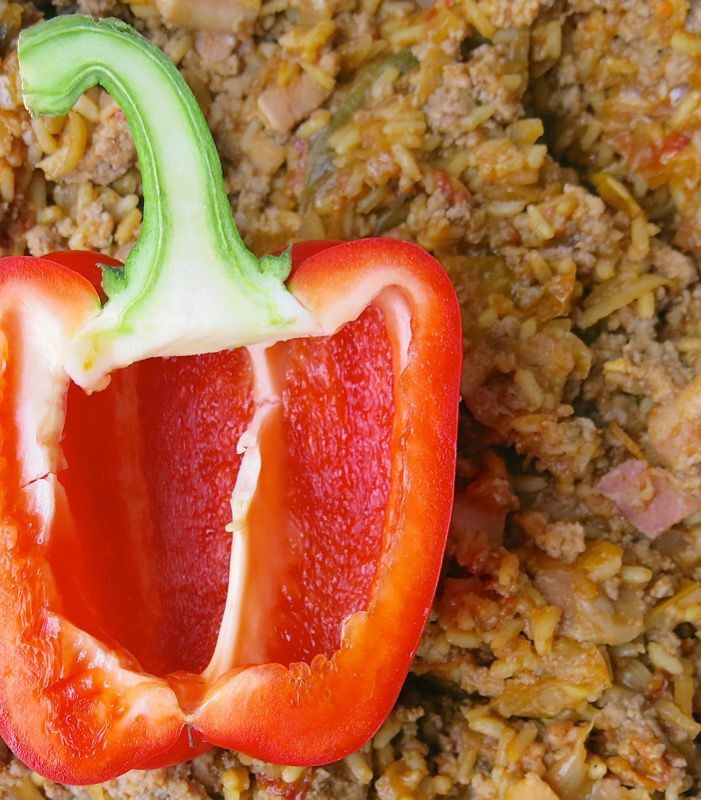 Meanwhile, the rice is partially cooked and added to the vegetable mixture to infuse the delicious aromatic and fruity flavours during the final cooking process. 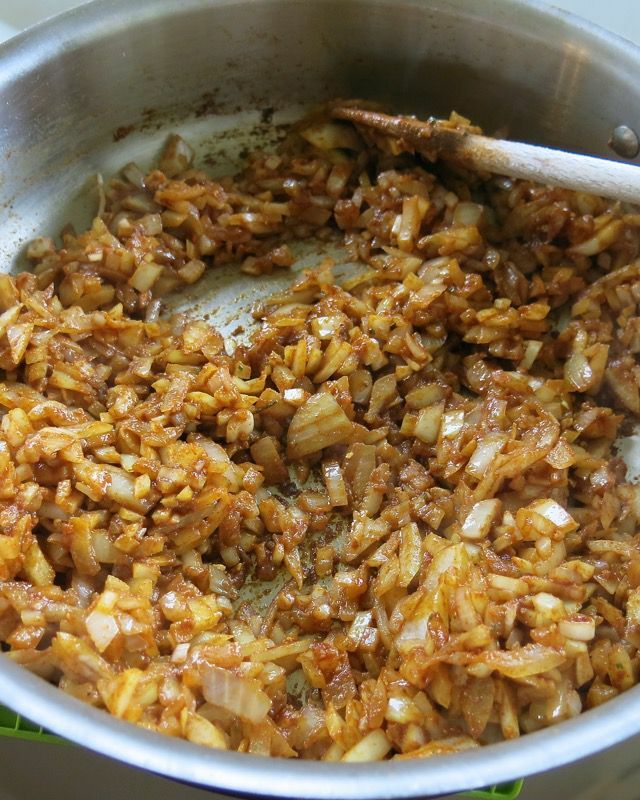 Stirring and stirring…. mmmmm….. 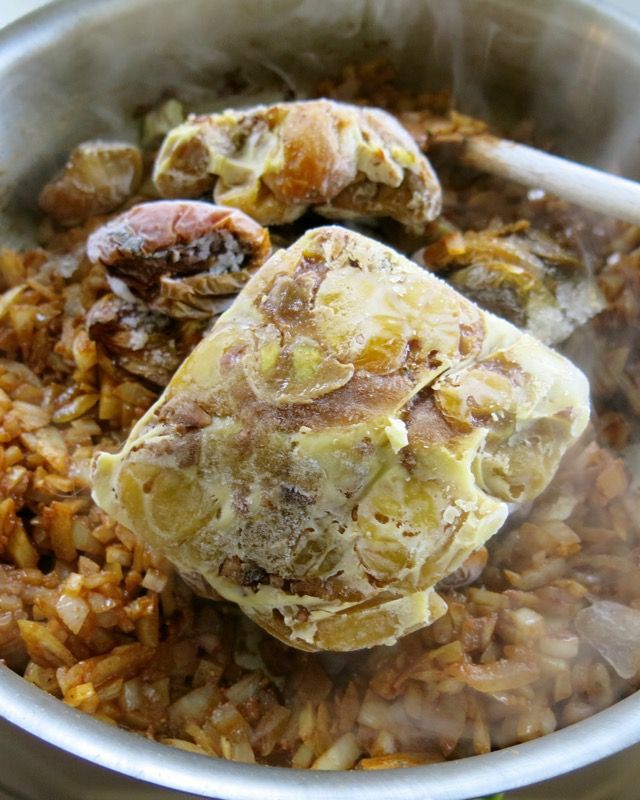 Above, the final seasoning is added to this part of the filling to ensure it is “stand-alone” delicious. Now, for the meat. 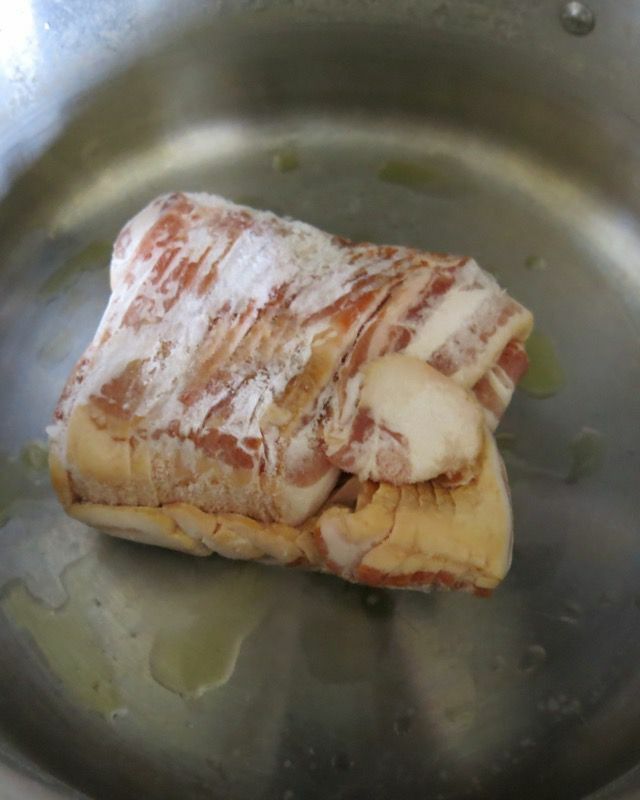 I started with frozen bacon, thawed it a little, then sliced it into lardons. Best to start with the bacon sliced into lardons. 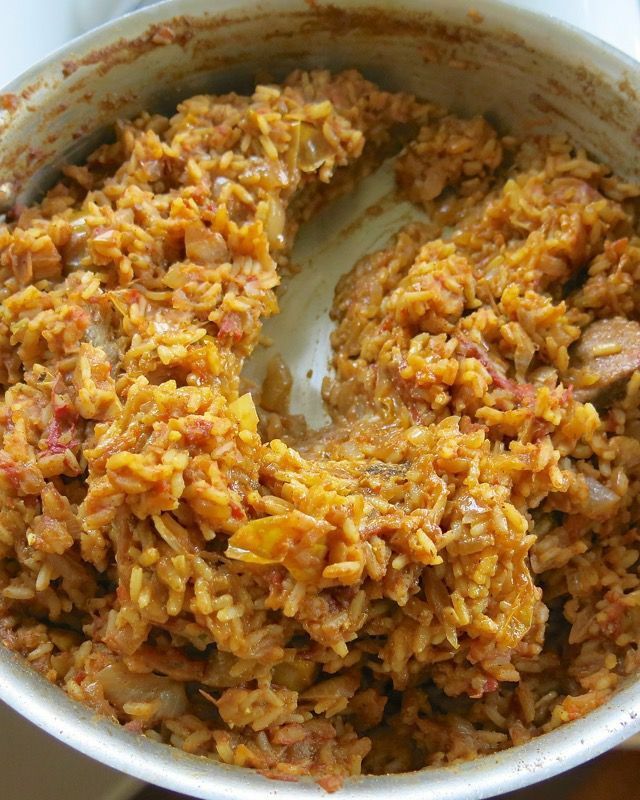 Above, the vegetable rice mixture is finished cooking as the rice is bursting with flavour, completely saturated with the discerning sauce and a path left in the pan with the spoon. 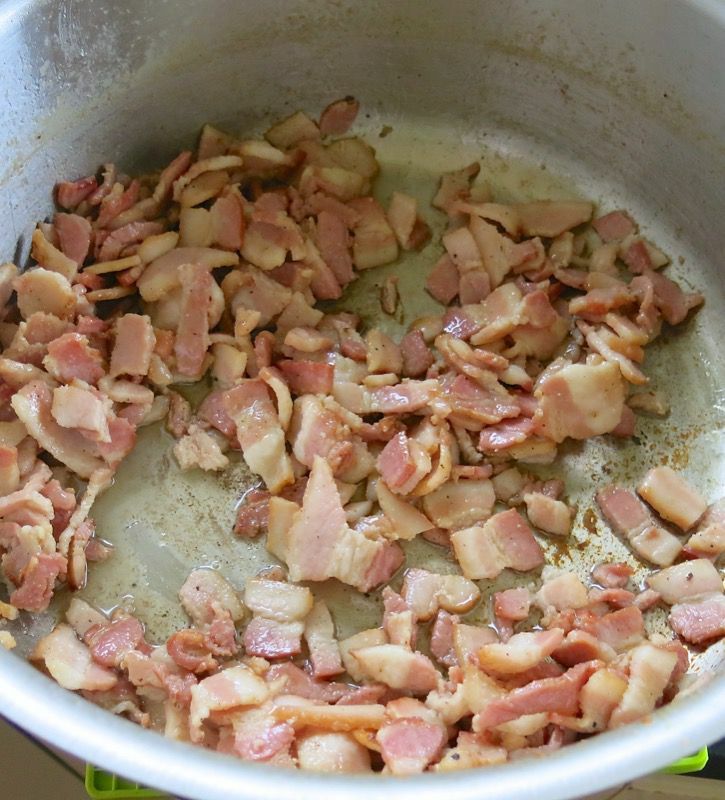 Ground beef, one pound at a time, is added to the fried bacon. 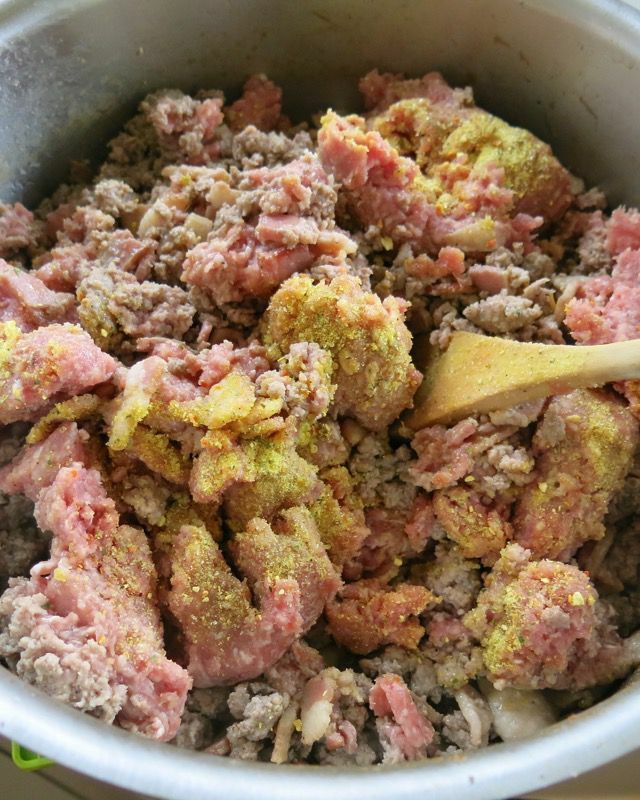 Once each pound, or 500g, is crumbled and partially browned, the next portion of ground beef is added until it’s all in and almost all browned… just as above: yet, a little pink. 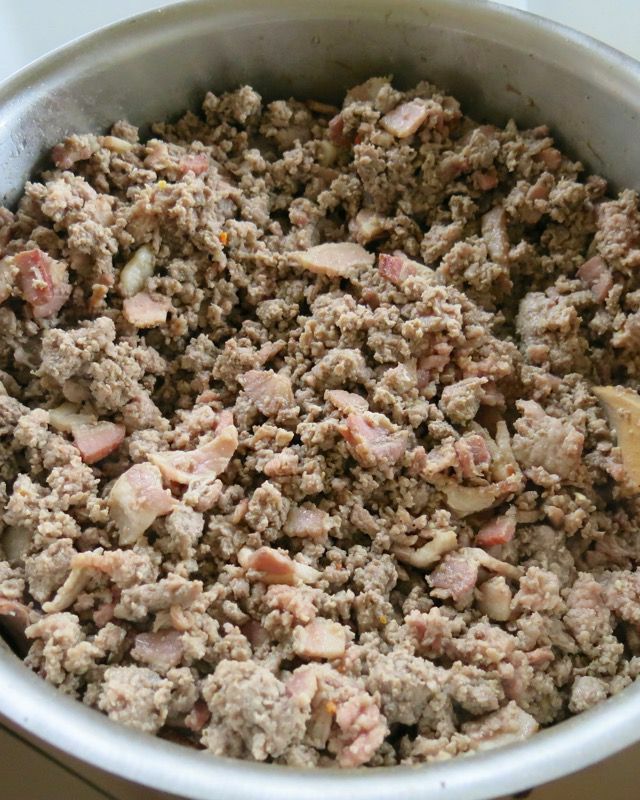 Seasonings added to the meat mixture so it is delicious “stand alone” as well, then both concoctions are combined. It may not be pretty, but the flavour built into this generic looking pot will elicit that instant response every cook works for. That unexpected je ne sais quoi is definitely present. But, it isn’t a true “je ne sais quoi” as then eye-balls is nothing unidentifiable, yet the exception of intensity of the pleasure elicits that je ne sais quoi. Whatever is it that enables such simple ingredients taste so deeply delicious? 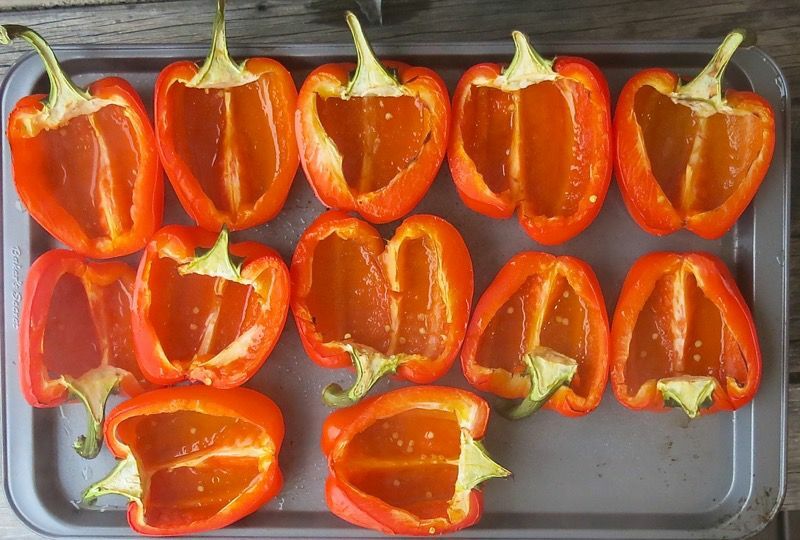 Roasting the peppers in a hot oven for 20 minutes ensures they will be tasty and properly cooked as the filling is completely cooked. 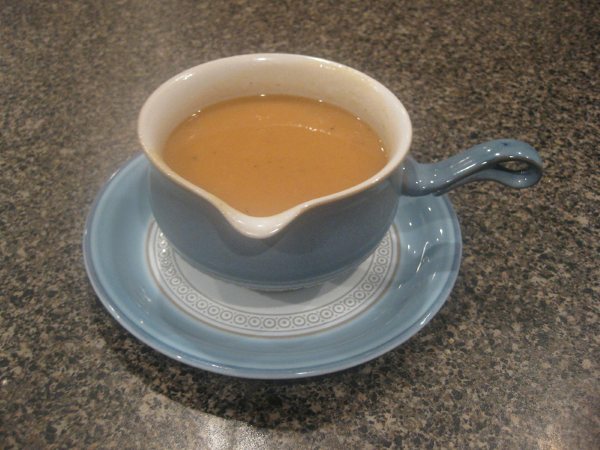 Each half pocketed a little puddle of pepper syrup that I poured back into the filling mixture: an umami whammy. 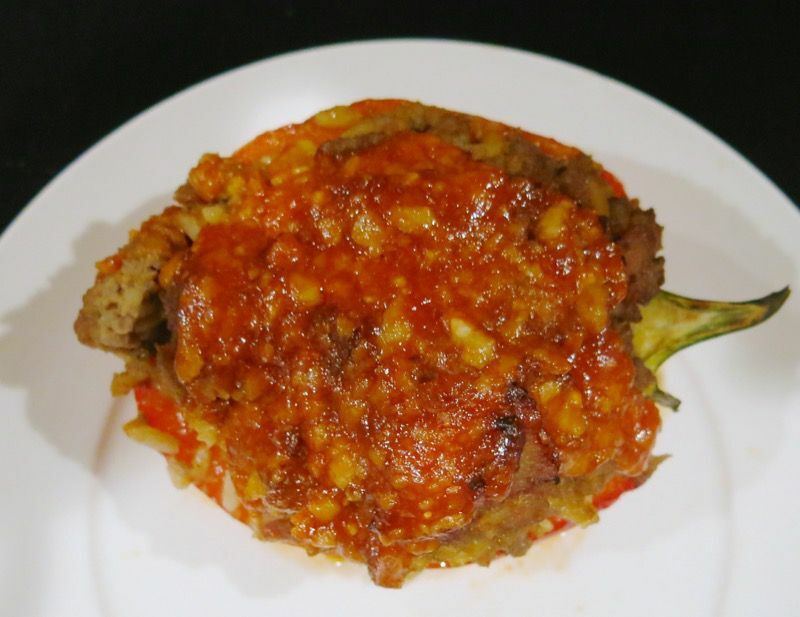 I bought hearty, ample peppers and mounded the filling generously on top. Each has half a pound or 250g or know-your-farmer grass fed ground beef in it. Did I say, start with the meat? Just the other day I made 3 hamburgers per pound and hear muted complaints. “Why didn’t you make me two?” One-half of these peppers with a crunchy fresh salad is a full meal deal. At this point, into the freezer went 15 of the halves. 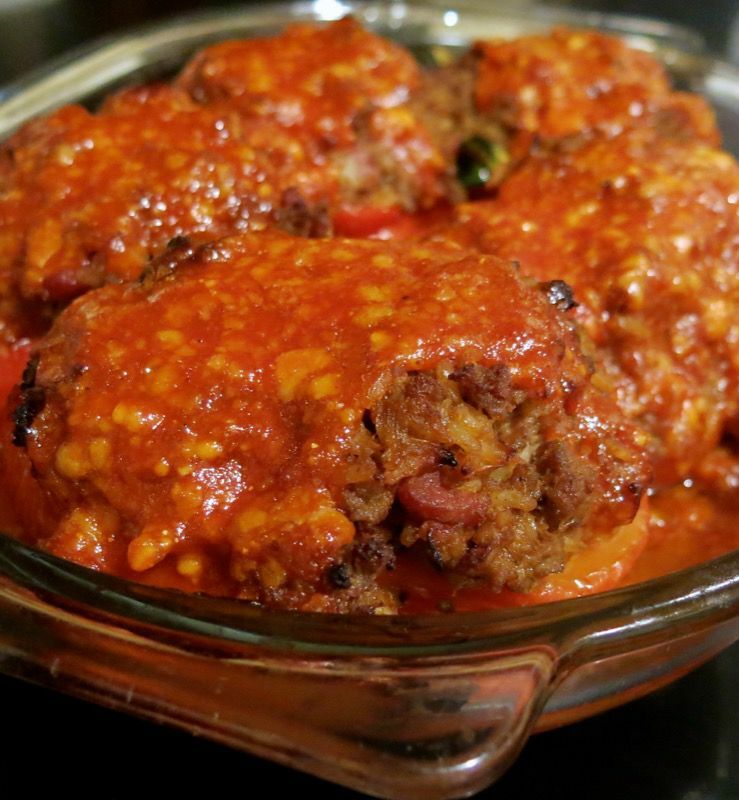 Five were popped into a casserole dish and covered with Mom’s Tomato Meatloaf topping, baked for 30 minutes, then eye-balls rolling in the back of the head scrumptious. Vanja ate two. But he still only gave me an 8.5 out of 10. What? “Outstanding.” was his comment. I think I need to take him to “fair marking school”. “What would have made this dish a 10/10?” I questioned in dire earnest. “Sour cream.” was his innocent answer. 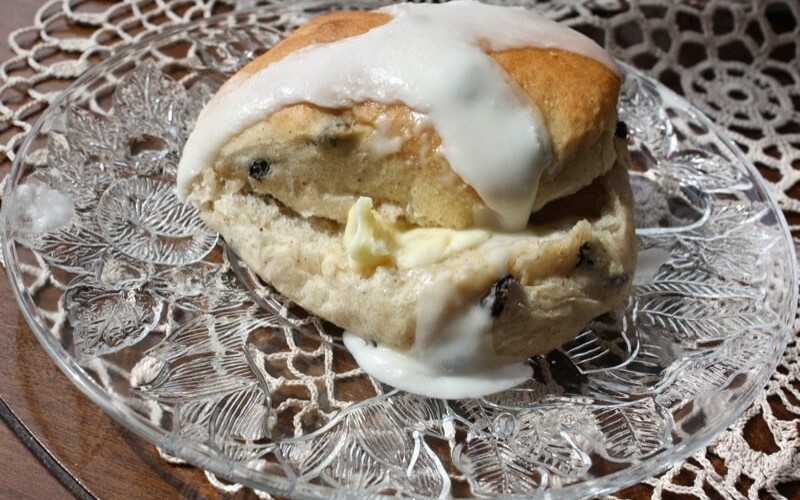 “I craved sour cream while eating it.” I shook my head and revelled in the 8.5. Anything over an 8 is so rare, it is almost non-existent. I am certain I will be missed and appreciated this March as I snuggle with William Duggan while Vanja and Ragan enjoy this meal (with the unnecessary sour cream, of course). When I tasted the peppers the day after I served them, I was astonished. They surpassed expectations and motivated my effort to describe the impact of this tasting. 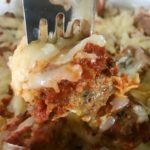 I rarely sing such praises over such a simple dish, but should you try this recipe, please let me know if you experience a similar pleasure. Inquiring minds do want to know. 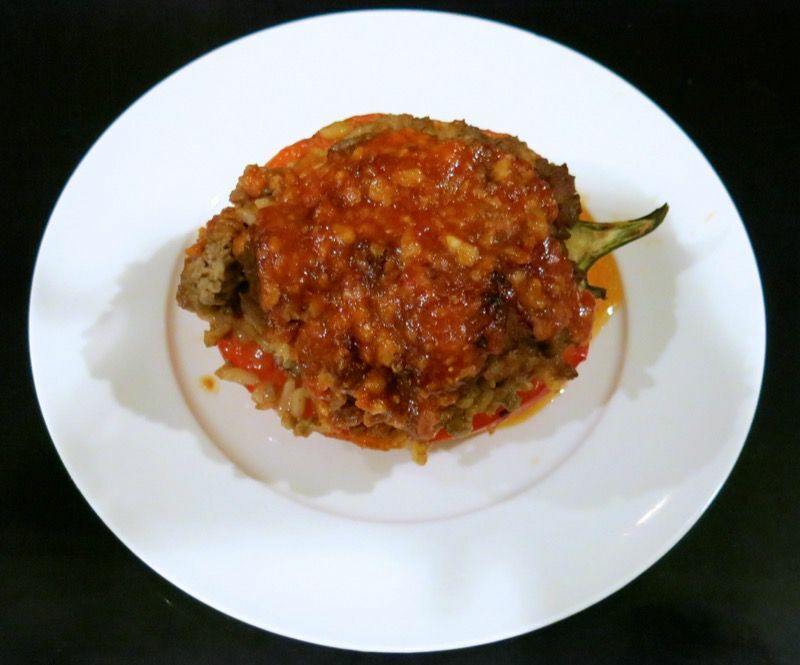 If you have a stuffed pepper recipe you love, please also tell me about it! 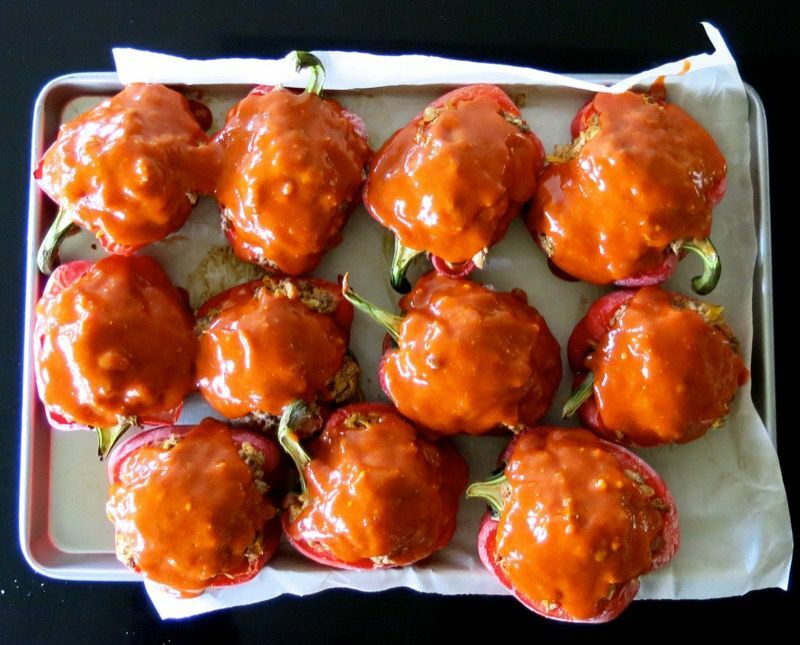 I have made stuffed peppers before, but not too successfully! 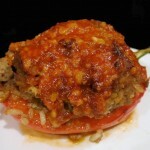 I will have to give your recipe a try, my family likes the idea of stuffed peppers, just not my version, lol. And you’ve added bacon, that’s bound to seal the deal for us around here! It’s so nice visiting your blog, Valerie! I don’t have a lot of time to blog read any more and it’s something I so miss, that connection between bloggers is so special! Sounds like you’ve got some big excitement coming your way!! Can’t wait to read more about it when you return!! 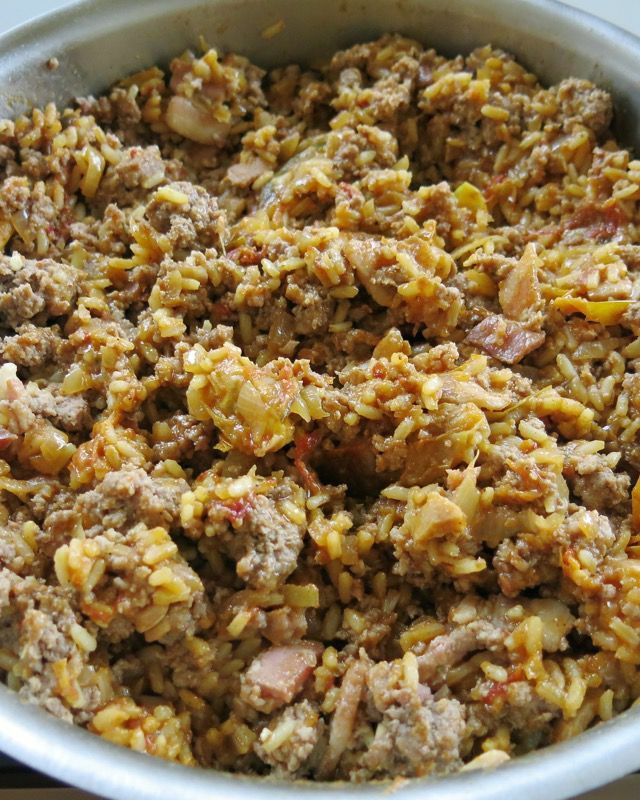 Usually, the meat mixture is raw, and the rice uncooked. They are then cooked in water, covered, low and slow for a considerable length of time. I love that traditional method, but it isn’t as pretty on the plate. 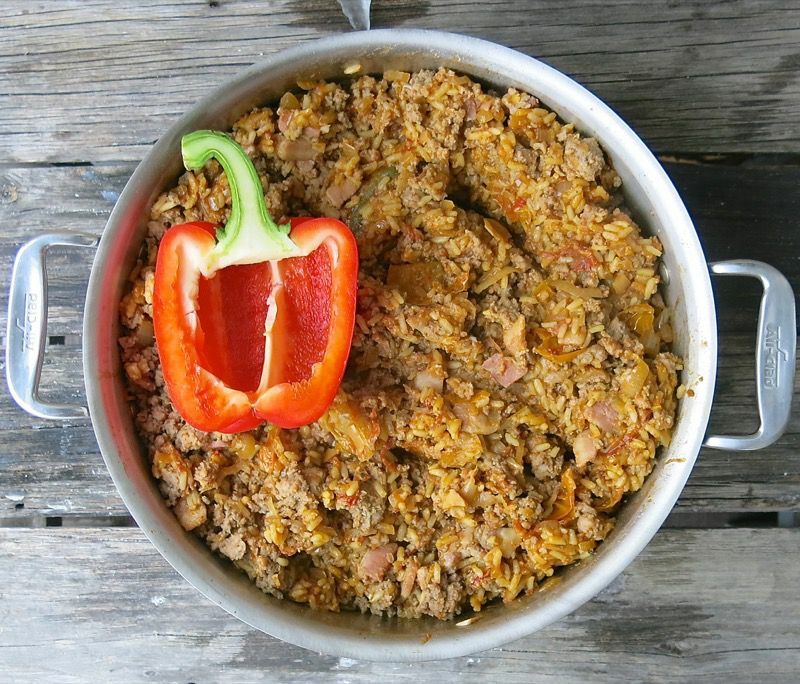 I was also planning meals for being away – and the less Vanja has to do, the better. 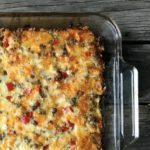 I am honoured you stopped by, Barb, and would love to hear from you should you make this recipe. Make lots. It is just as easy as making a few. 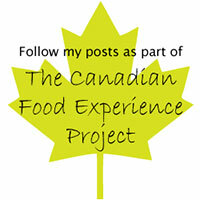 I am confident it will be a crowd pleaser – but, of course – still want to hear back! 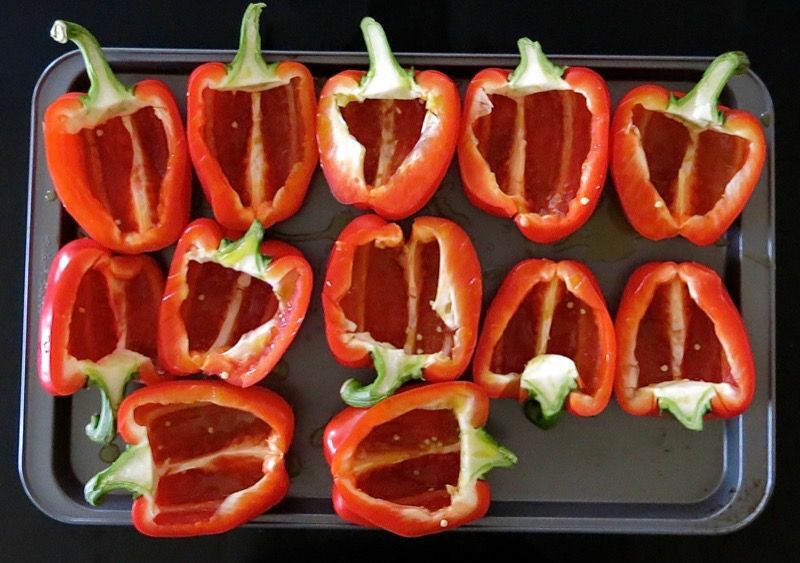 i made 1/2 a batch…..still ended up with 100’s of peppers, (ok 18). (i didnt fill quite as mounded as you did, wanted to be able to pack flat in my freezer). 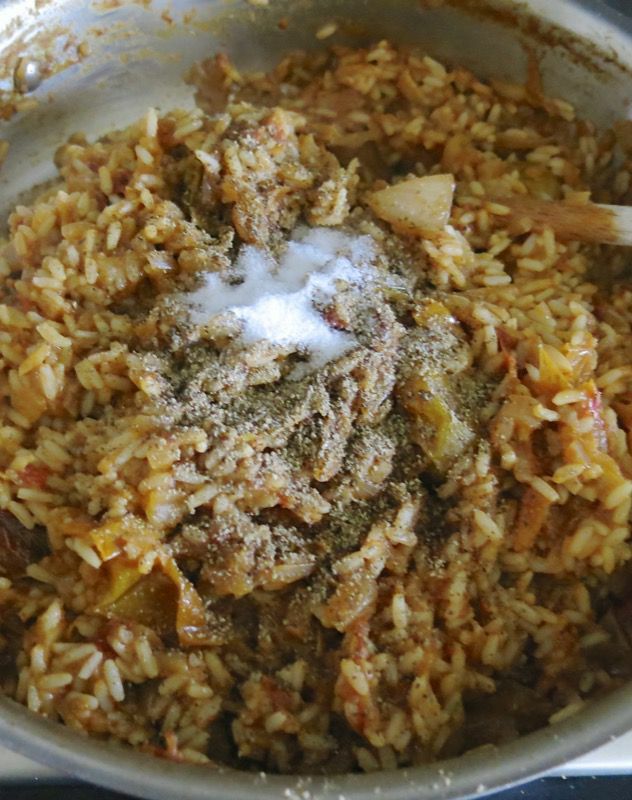 i did use a ‘can’ of tomatoes, just drained a little before i threw in, and i used some GFG barley and farro in the rice mix…..GAWD i love farro!!!! i am giving some away for a sick friend, but will def keep some here for me too! 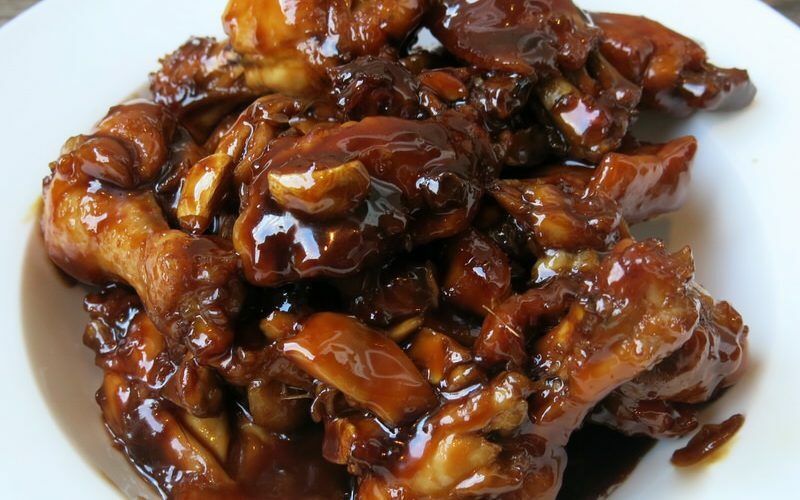 thanks val – another winner dinner!!!! Have I told you lately I am YOUR number one fan? That makes sense that you would end up with 18 with a half a batch as my peppers were HUGE and I stuffed ’em Vanja portion size. Barley and farro would be a delicious addition. Brilliant! Isn’t farro the same grain as spelt? I am trying to find out. You have a lucky sick friend. I wanted to be a good friend to a sick gal once, and the memory still haunts me. 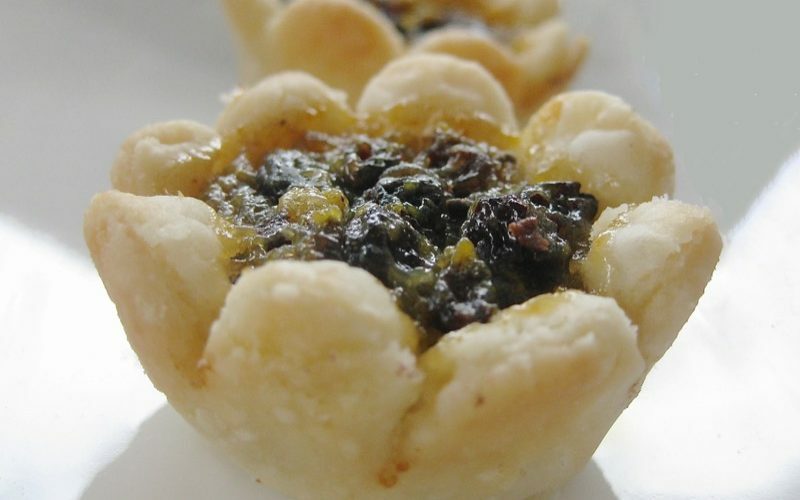 Taking off Thursday on a cruise with mom and then I would love to get together and make tortierre in February if you are available. I do leave February 25th until March 29 for SLC! Going to stay there for the birth of William Duggan! A month with Lauren and the baby! I am so excited. bon voyage to you & H! 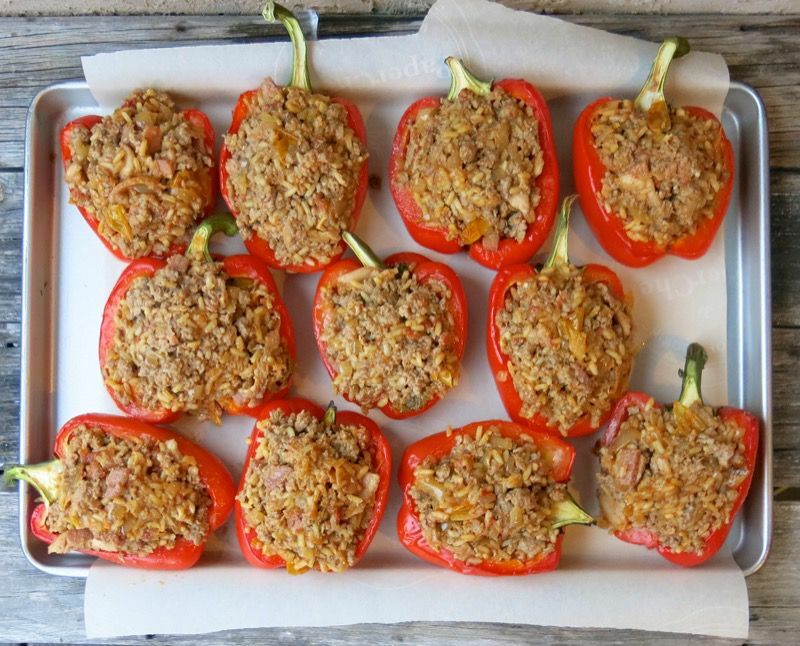 I haven’t blogged in a long time, but I was searching for a stuffed pepper recipe this morning and came across this and will be making it this afternoon. It sounds delicious. Congratulations on the soon-to-arrive grandchild! 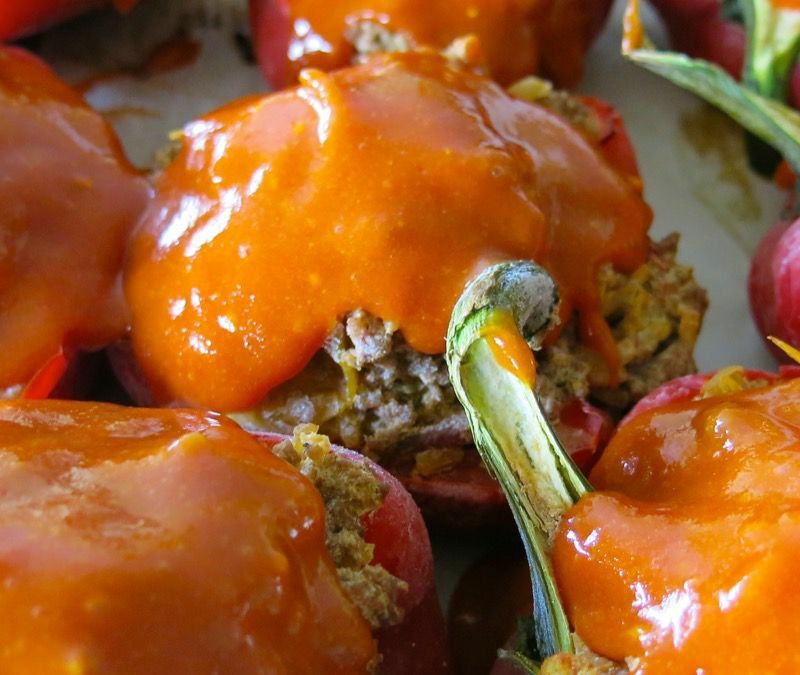 Congrats on this great stuffed pepper recipe. 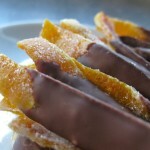 I made them tonight…and they were absolutely delicious! 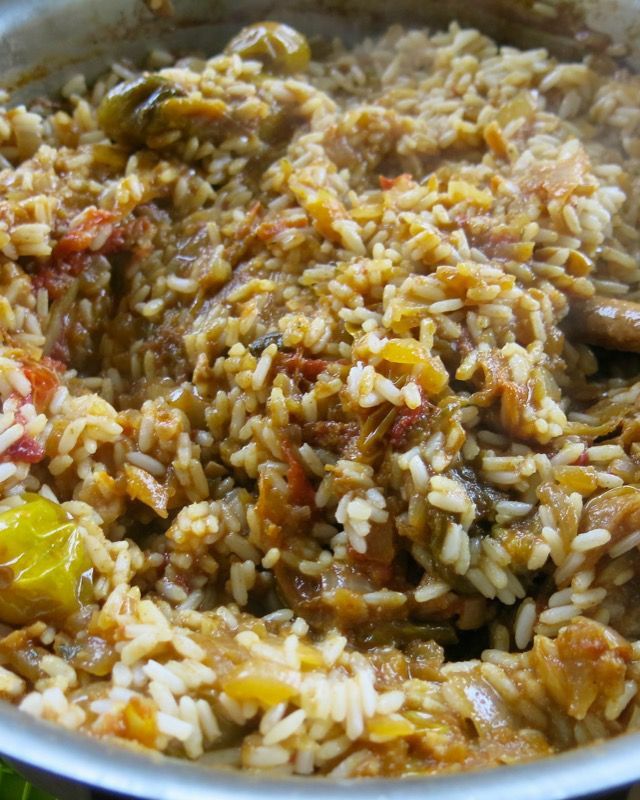 I added some chopped roasted aubergine and red peppers to the rice mixture, as well as a pinch of red pepper flakes…! Yummy! I will certainly make them again. Also.. 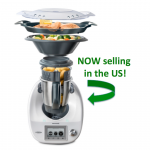 I am loving my Thermomix! Dear Flor! What a wonderful message to wake up to! Thrilled to hear this. 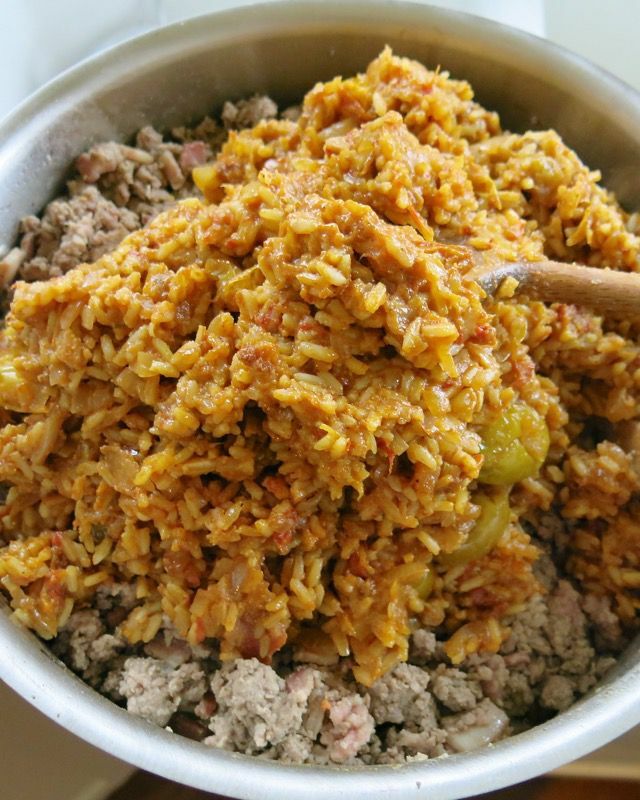 The rice sounds YUMMY!